Being the cheap computer tweaker I am, I ended up with a cheap mid-tower Super Case (7A095-06). Then, I decided my power supply was not adaquate enough for the heat dissipating off of my Celeron 366's overclocked to 583 MHz. I began adding fans until I ended up with 2-80mm blow holes (one intake, one exhaust), 1-80mm Fan in the standard spot in the bottom of my case, 2-80mm fans on top of my Global Win FEP32s and I added another 120 mm blow hole recently. That is a lot of power consumption to expect from a cheap 250W Power Supply Unit (PSU). Besides the fact that I needed more power, the generic one that came with my case was producing a lot of heat its self so it was unable to act as an exhaust fan. I started looking around for cheap/generic power supply reviews and couldn't find any. So, I went to a familiar place, MultiWave, and ordered their PSU (MultiWave 300 Watt Power Supply - $49). It shipped promptly as usual and arrived at my door step nicely boxed. 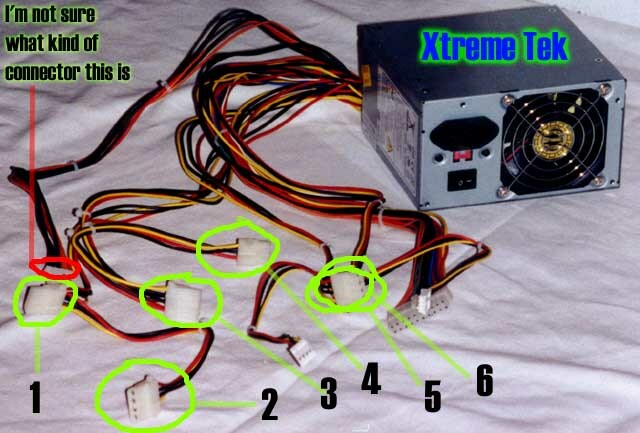 "Upon reading your review, I noticed that you overlooked the model number (FSP300-60GT) of the power supply, this power supply is manufactured by the FSP Group sold under various brand names, including Sparkle Power International, PC Power and Cooling, Powerman, and possibly some others. Powerman is the brand name that most Inwin cases come from and these units are anything but cheap. I've seen this PSU in Inwin Q500N and SuperMicro 750A. Look on AMD's list of recommended power supplies for Athlon and more importantly, FIC's recommended list for the SD-11 (the most PSU-picky K7 board) and you'll see the FSP300-60GT with some sort of brand name there. I've used this power supply on 4 machines and have never been let down by it. The fact that it's sold by PC Power and Cooling is enough justification alone to label this as one of the highest quality 300W PSUs out there. Though somewhat misinformed, your review of the the FSP300-60GT was great and accurately displays this units abilities. Installation wasn't anything special or different from putting in any other unit. I just pulled the old one out and put in the new one. Though I did have to do a bit of bundling, which I will get into shortly. 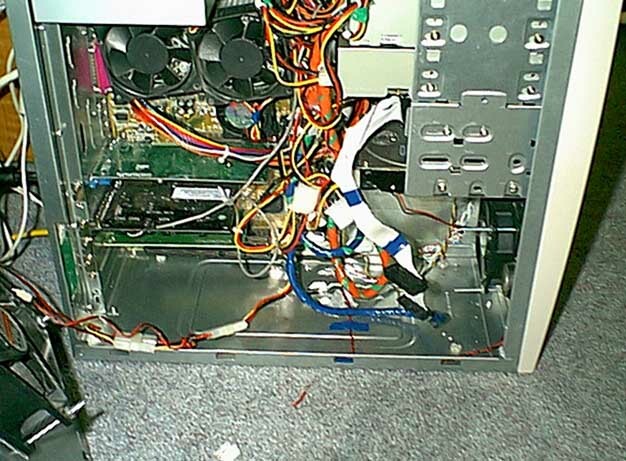 Ok, so you know that one has more connectors than the other. What does that mean? 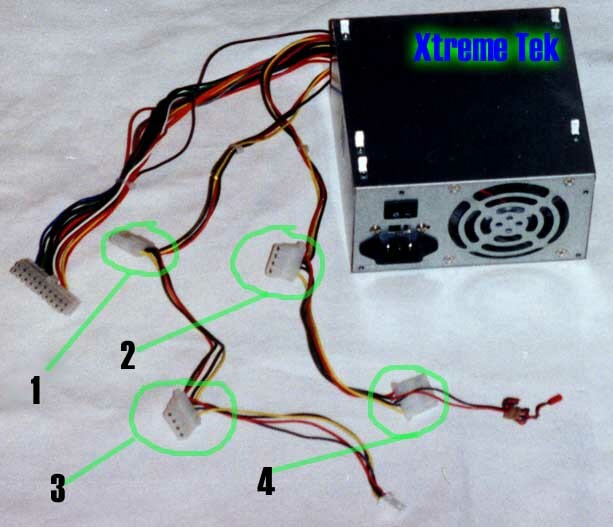 Pretty much that since the 300 Watt Power supply is, well, 300 W it was built with more connectors becuase it has enough power to supply all of them. The really nice thing is that the Power Man has two floppy connectors. 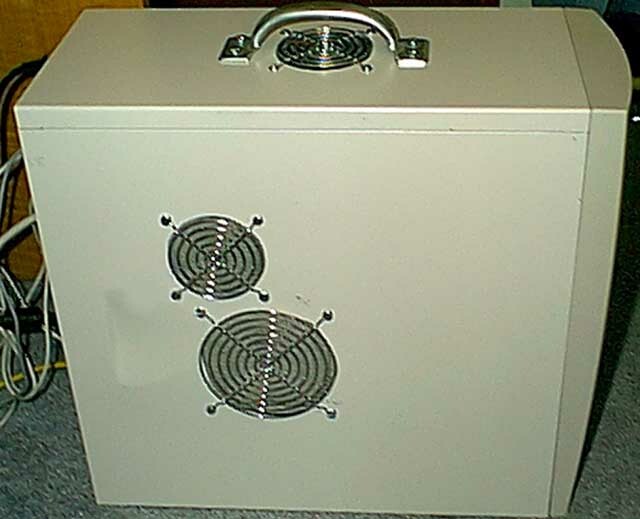 The Super Case came with a spot for two but only has one floppy power source on it's PSU. Yes, I know it can be used for other things aside from a floppy drive, buy some people might want direct floppy to floppy transfers without copying over to their hard drive first.